The Xiaomi Pocophone F2 will be packed with some powerful specs. The handset will facilitate you with everything that you can imagine in a well-round smartphone. The specs of Xiaomi’s Pocophone F2 look promising. It is going to serve you with a powerful chipset, massive power and sufficient memory along with an outstanding rear and front sensor setup. As for as Xiaomi Pocophone F2’s the chipset is concerned, it will be empowered with one of the best chipsets, called Qualcomm Snapdragon 845. 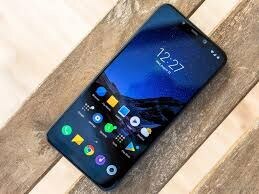 Further, the system on the chipset of Pocophone F2 by Xiaomi will be powered by 4 GB of RAM that will be paired with 64 GB of internal storage.